Green Room, written and directed by Jeremy Saulnier, follows an indie rock bands descent into a nightmare of survival against the owners and patrons of a neo-nazi skinhead bar. 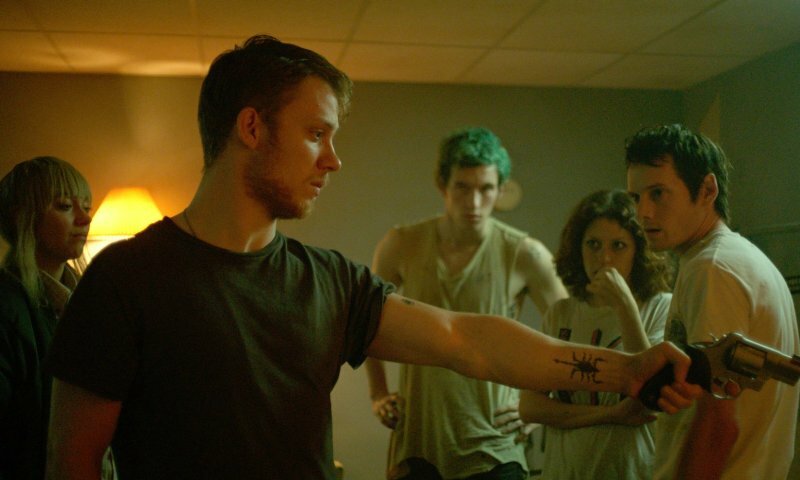 The film features acting performances from Anton Yelchin, Patrick Stewart, Imogeen Poots, Alia Shawkat, Callum Turner, and Macon Blair. You don't often find a horror movie filled with bankable Hollywood movie stars like Patrick Stewart and Anton Yelchin although, when a story is this good, I suppose it becomes easier to draw them in. While Jeremy Saulnier has a couple genre films under his belt, this is the first one to garner any real attention and it quickly became a darling at film festivals around the world. 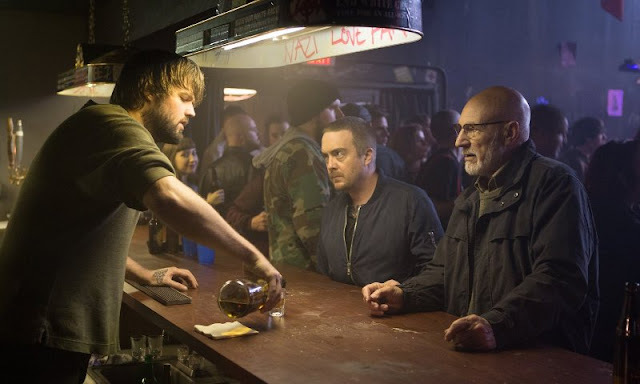 Saulnier keeps the tension high right from the start as the band finds themselves figuratively and then literally trapped within a den of skinheads who are hell bent on keeping a few dirty secrets under wraps. This isn't as much of a horror movie as it is a crime thriller although the extreme and graphic nature of the events that unfold definitely have it leaning more into that territory. Casting well known and likable actors to fill out the members of the band was a very smart move as it puts the audience in a position to have built in feelings for characters who are in real danger throughout the movie and we really care whether or not they make it through this treacherous ordeal. Also, seeing Patrick Stewart playing such a villainous role is a huge contrast compared to what we are so used to and the raw, gritty nature of the film allows him to show off a side of his abilities we have never seen. 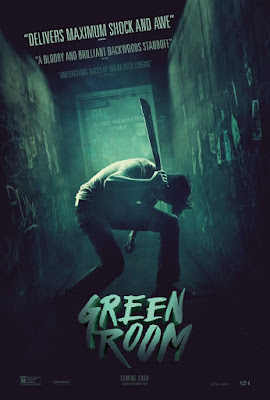 Green Room is one of the best thriller/horror movies you will see this year. The horror doesn't jump out at you, it's more of an underlying uneasiness in knowing that there must be places like this that exist in the real world.